Support the Classics | Spaceship! Spaceship! Spaceship! 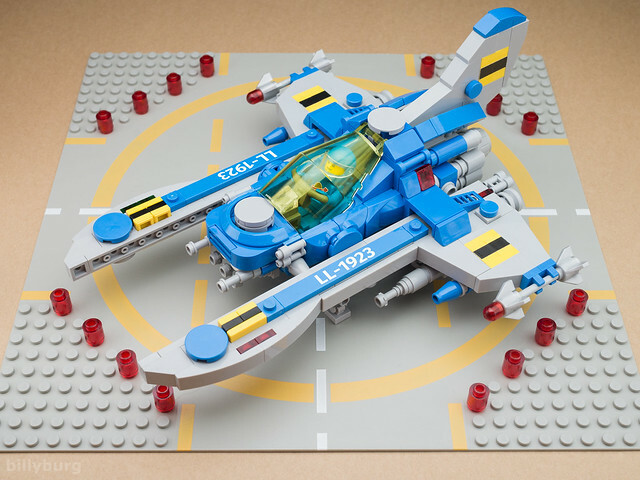 I’m remiss in not sooner sharing this wonderful LEGO Ideas submission from billyburg. Why? CLASSIC SPACE. 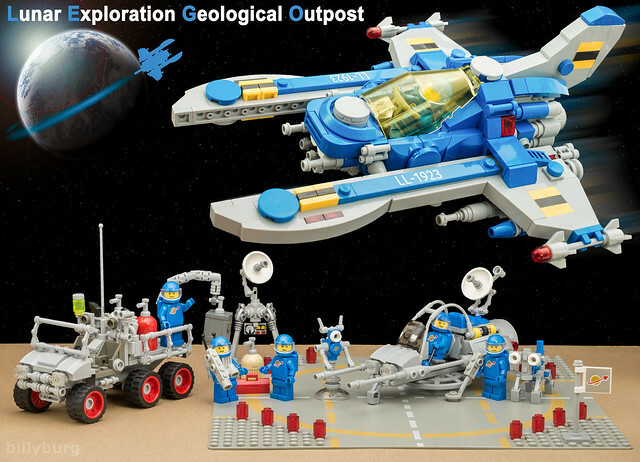 The Lunar Exploration Geological Outpost is a fantastic little playset featuring three main models: a 6 wheeled Lunar Utility Vehicle for driving about the lunar surface, a Lunar Surface Skimmer for zipping across and mapping the lunar surface and a larger Galaxy Patroller spaceship, for zooming over the lunar surface shouting “Spaceship!”. There’s also a whole bunch of classic space minifigs and robots to hear the shouting and wave. The main Galaxy Patroller ship is a nice little Vic Viper style affair with some very modern detailing and construction, but a nice retro feel. You can support the project right now on the official Ideas webpage. It reminds me a bit of the Star Justice set that came out a few years back. Whether or not this Ideas submission gets intro production, it certainly feels like there’s a lot of nostalgic interest in Classic Space right now. 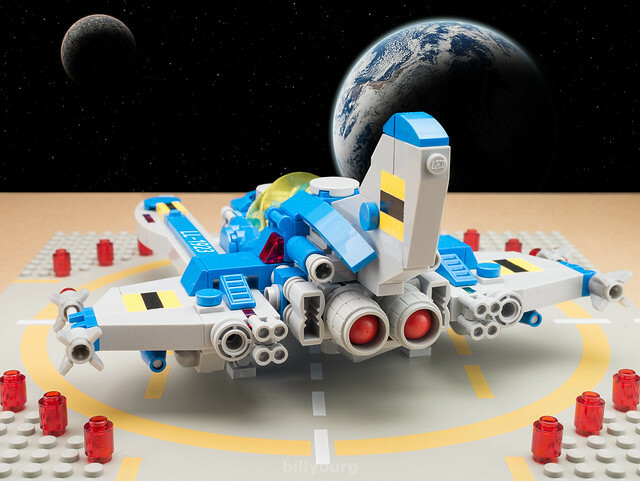 With The LEGO Movie Sequel (that’s the official title apparently) due out in 2018 I hope we’ll get to see more of Benny and more tie-in sets of his spaceships! This entry was tagged classic space, ideas, MOC. Bookmark the permalink. Thank you very much for the blogging. I appreciate it very much. Pingback: Justice Wins ALWAYS! | Spaceship! Spaceship! Spaceship!